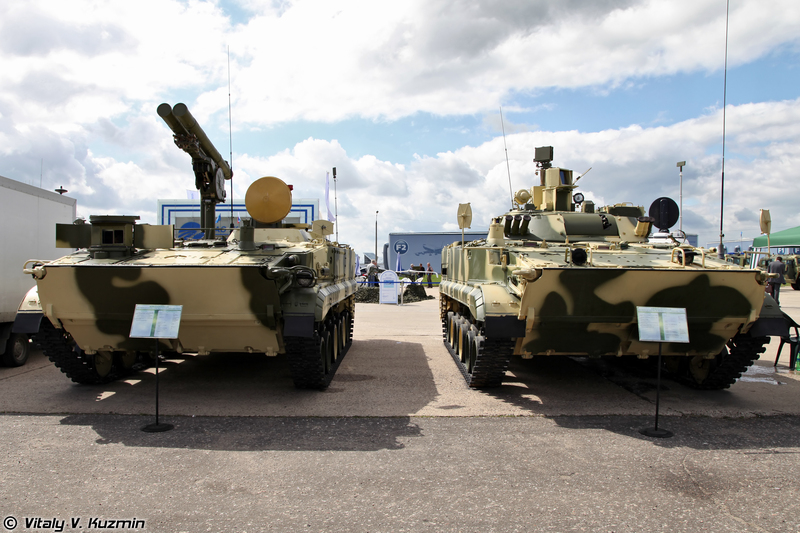 The 9P157-2 Khrizantema-S is a Russian Tracked Tank Destroyer. 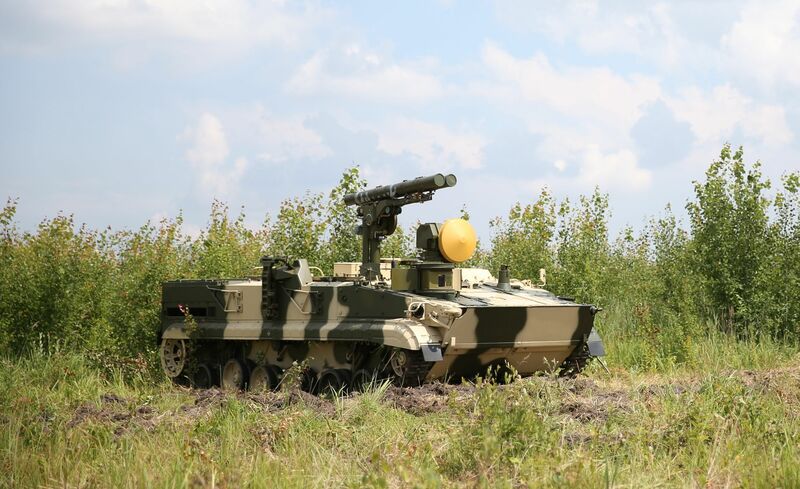 It consists of a modified BMP-3 Infantry Fighting Vehicle hull (called 9P157-2) equipped with the Khrizantema-S Anti-Tank Missile system. The 9P157-2 is the designation given to an improved 9P157, which has seen improvements in its detection/guidance equipment and crew displays, which form part of the 9K123-1 Khrizantema-S. The system comprises of a retractable launching arm, which has a limited traverse left & right and x2 launching tubes. An autoloader located in the rear of the 9P157-2 capable of carrying 15 missiles (mixed load if required). The launching retracts in to the hull to be reloaded. Detection and guidance is achieved by using either the vehicles standard gunners sight channel with a thermal channel and its built in laser designator or its radar control system, which can detect and guide the ATM through smoke (referring to tanks smoke grenades), fog, and snow. The 9P157-2 can Traverse 85 degrees left and right and elevation minus 5 to plus 15 degrees. Maximum firing range: 5000 m, min. Minimum firing range: 400 m.
9N146-1 warhead (9M123 missile): Tandem HEAT (armour penetration 1000 to 1100 mm behind ERA). 9N146F warhead (9M123F missile): HE (FAE, TNT equivalent 13.5 kg, min.). 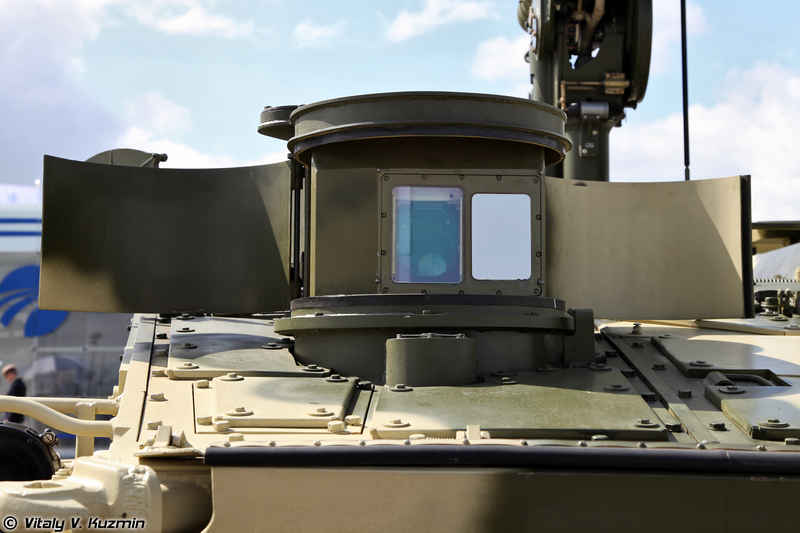 The missile guidance system includes a radio receiver and a photodetector installed in the C&G section for respectively automatic radio beam or semi-automatic laser beam riding. Length of canitserized missile: 2300 mm. Weight of canitserized missile: 62 kg, max. 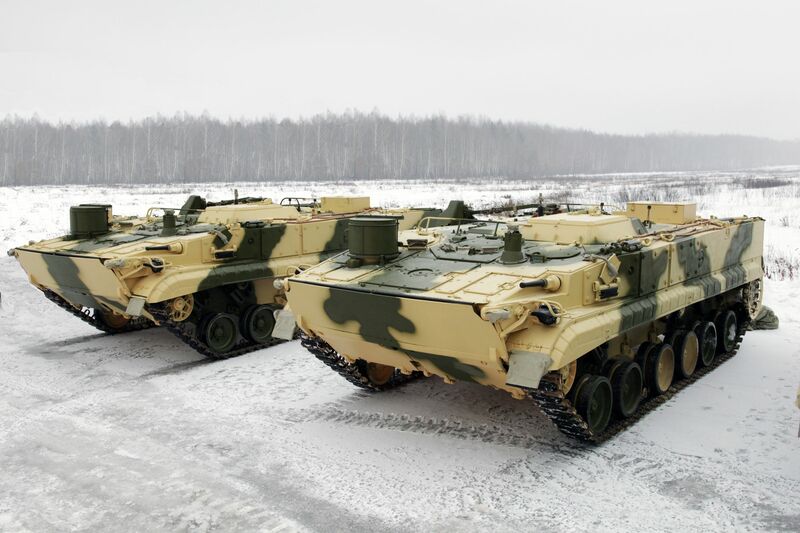 Altitude for combat use of 9M123 and 9M123F missiles above sea level: Up to 3000 m.
The 9K123-1 Khrizantema-S: consists of the 9P157-2 Combat Vehicle and both 9P157-3 platoon commander’s CV & 9P157-4 battery commander’s CV as well as testing/diagnostic support trucks/equipment.